While most of the TV actors and actresses struggle a lot to get into Bollywood, here are 10 famous actors and actresses who actually rejected Bollywood films in order to continue their TV stardom! 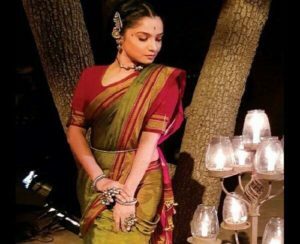 After acting in a successful TV serial “Pavitraa Rishta” for years, Ankita Lokhande has been offered Bollywood films so many times due to her relationship with her co-star Sushant Singh Rajput. Shockingly, she has been rejecting all offers until she was offered to share the screen with Kangana Ranaut in Manikarnika, releasing in January. Are you a fan of Karan Tacker? Recently, people were talking about the rumors of him playing the role of an antagonist in the upcoming film “Student of the Year 2”. But, he has declined all there rumors! We all know Drashti for her lead role in the successful TV serial Madhubala. While she was busy with Madhubala, she was offered for playing the lead role in Rohit Shetty’s “Singham Returns”. But, she decided to declaim this offer and to continue with Madhubala! After Adaa Khan steals all our hearts by playing the role of a Nagin in Nagin 1 and Nagin 2, she has been getting quite a few offers for Bollywood films. But, she has said that she is not ready to enter such a big industry like Bollywood. So, she has declined all these offers. 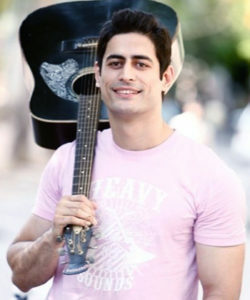 Mohit Rana got his stardom and fame due to his lead role in the famous TV serial “Devon Ke Dev: Mahadev”. This hot TV actor was offered for Bipasha Basu’s film Creature 3D. But, he declaimed the offer! Kritika Nair got fame due to her lead role in the serial Aarambh which is a TV version of Bahubali. Now, she has been getting a few Bollywood films offers which she intends to decline for now. 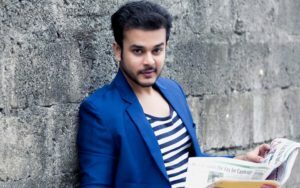 Jai Soni rejected a Bollywood film offer in 2010 as he has to share the screen with other actors in the film. He said that he would love to play a cameo role but he doesn’t want to share the screen with other actors. So he declined the offer and preferred to focus on his TV show instead. We all know that Aishwarya auditioned for Chak De India but didn’t get the role. So, she has decided to stay on the television with her Bollywood dreams! Till today, we have seen Shaheer Sheikh in a few TV serials. Now, he doesn’t intend to move to Bollywood and do side roles as he wants to focus on TV. So, he has rejected quite a few Bollywood offers as well! After paying a side role in the film Bobby Jassos, Surabhi decided to move into television and rejected a Bollywood film! Now, she is playing a lead role in Ishqbaaz and we all adore her on the television!